Don’t get hung up on the whole "soul-winning" argument that Bob Gray Sr. is using as a smoke screen to avoid addressing Johnny Nixon’s false doctrine. Faithful Word Baptist Church and other churches we fellowship with are filled with die-hard soul winners. Our church has eleven different regular soul-winning times each week in addition to various soul-winning events across America as well as overseas.That isn't the point. 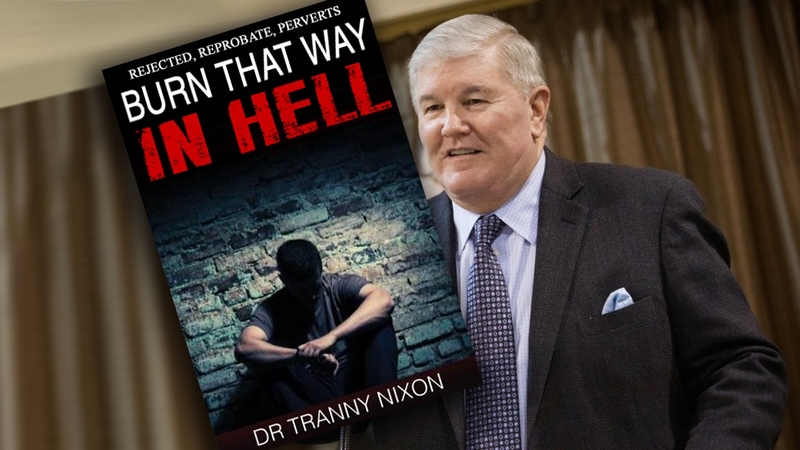 The point is that Bob Gray, Nixon, and others have gone soft on the Sodomites and are actively recruiting these dangerous predators into our churches and recommending them for childrens' ministry of all things. He's BACK!!! And with a vengeance! Blast him Stevedude!!! I have never even heard of this weird concept of asking folks if they are sodomites before presenting the Gospel. That is bizarre. I have encountered sodomites and effeminate, lisps dudes out soul winning, but none of them want to hear what I have to say and that is fine. "Would you be interested in hearing what the Bible says about how to get saved?" "No thanks." "Okay, bye." And I move on. I didn't even know who Bob Gray Sr. was until you and bro. Fannin started exposing that disgusting Born That Way book. Just when Bob Gray thought you had moved on to another subject, you posted this. Keep up the good work until he denounces Nixon. Who made the blog post image, its hilarious? Thanks for the great insight Preacher!